This isn’t your mother’s Dream Book shenanigans. And there’s not one whiff of Dr. Freud to be found. 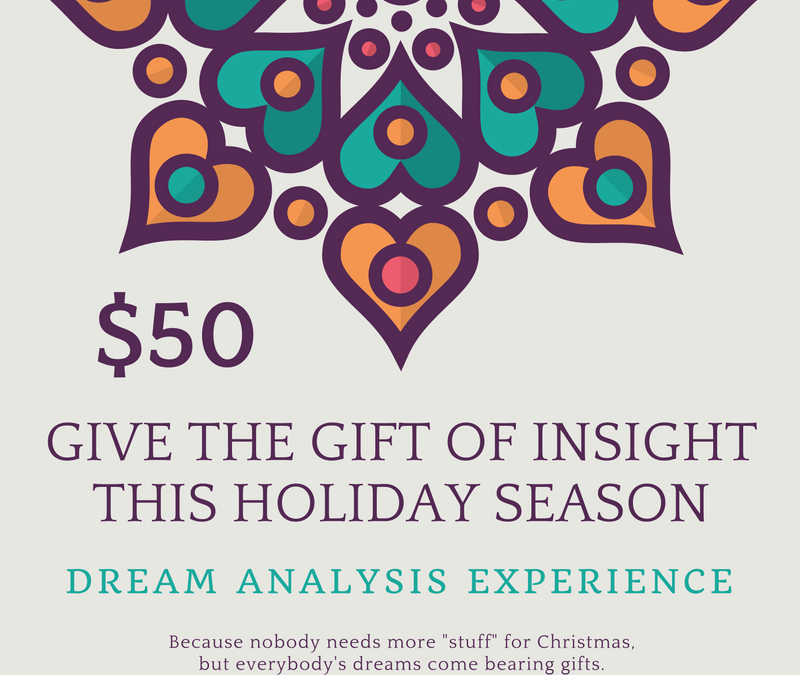 My dream analysis experience is super fun, quite fascinating, and a *little* different than you might expect. People’s dreams are full of symbols and imagery but only the dreamer actually knows what they truly mean. This means I never dictate to a dreamer. I act as guide, scribe, and facilitator but the dreamer is always the one steering the ship. *hand on heart* This type of dream analysis is an amazing experience. 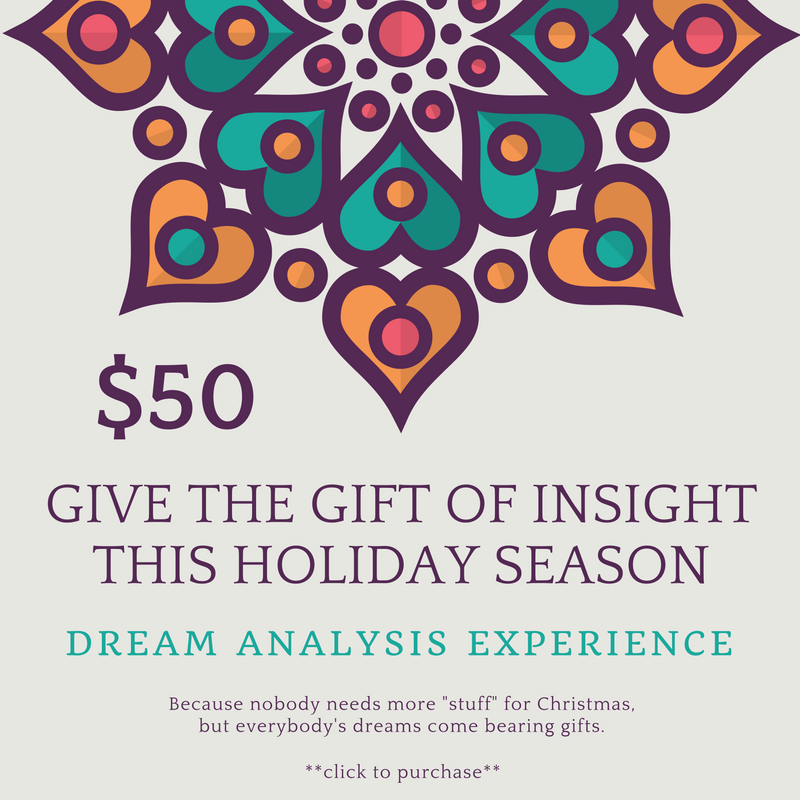 I love doing this type of analysis because dreams are a window into every aspect of our lives and our dreams always have something to tell us. So if you are looking for an interesting gift for that special someone on your list, why not give them the chance to have a chat with their inner self? Because no one needs more “stuff” for Christmas, but everyone’s dreams come bearing gifts.